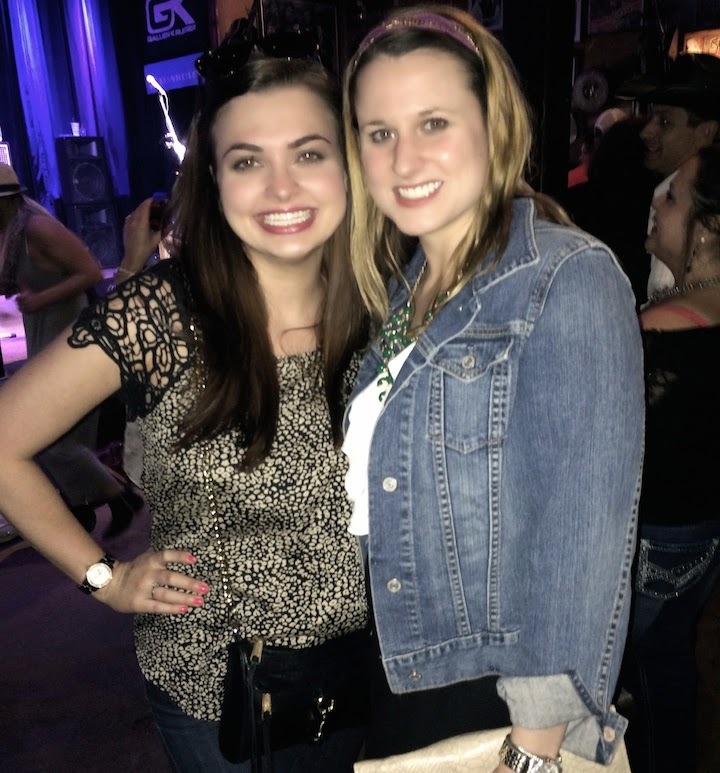 This past weekend a few of my girlfriends and I packed up and took a road trip to Nashvegas (otherwise known as Nashville) to party the night away for my bachelorette trip. 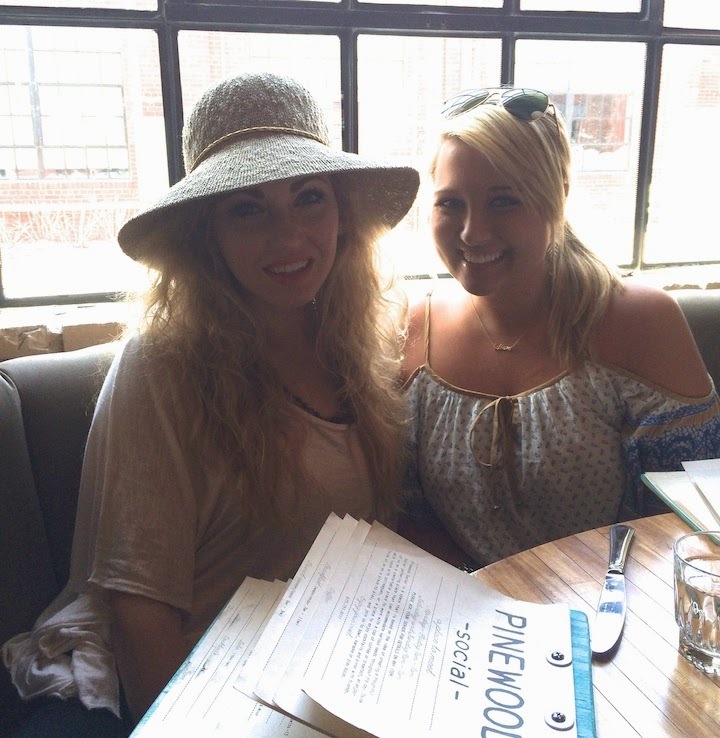 We started the day at Pinewood Social for brunch. We had everything from Mimosas to Bloody Marys to Irish Coffee. The food and the atmosphere were amazing, and it was the perfect place to kickoff the perfect bachelorette weekend. We sat there for nearly two hours drinking and catching up with each other. Two of my girlfriends that came on the trip were my college besties. Since college the three of us have all moved to different states, so we don't get to see each other nearly as much as we would like. 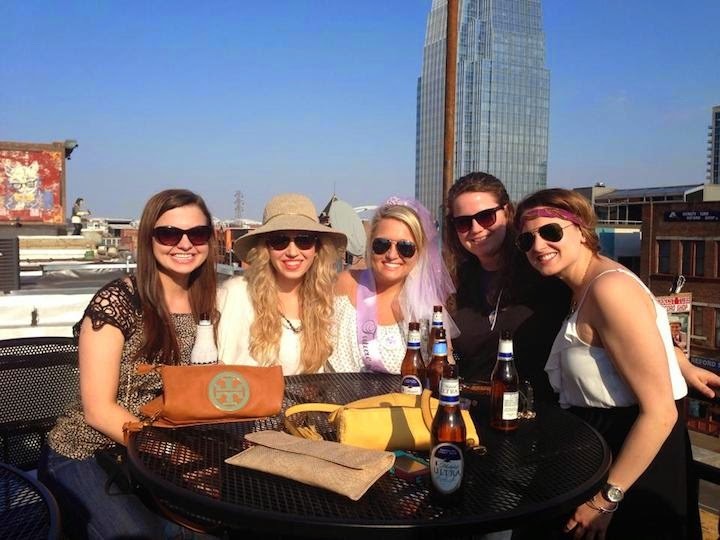 I was so happy to have them make the trip to Nashville to party with me! After brunch we headed over to broadway to do a little daytime sightseeing and bar hopping. 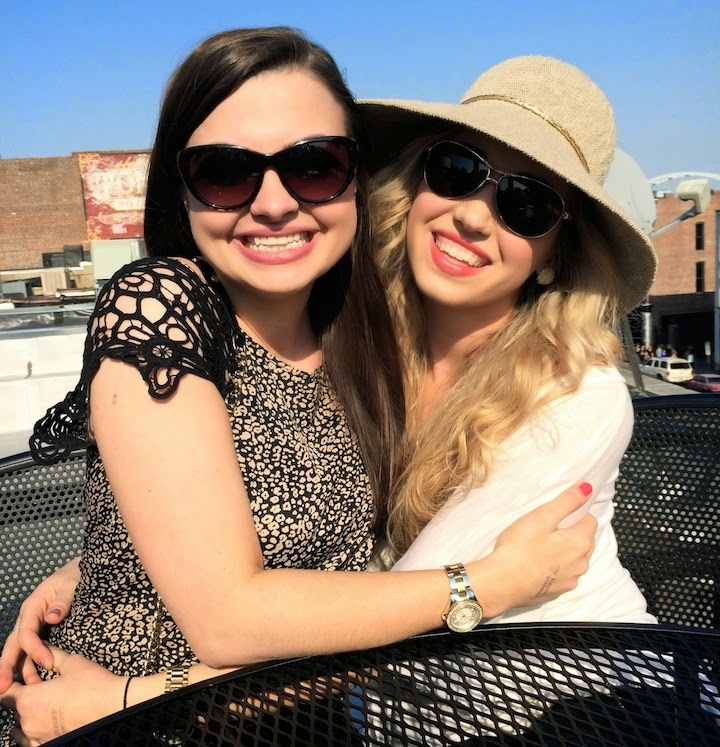 We hit up several bars and finally landed at Tootsie's on the rooftop. The weather was absolutely perfect, so we sat outside for a couple of hours listening to the band and drinking beer. Before we knew it hours had passed, and it was time to head back to the hotel and get all dolled up for the evening. After five girls successfully got dressed with one bathroom, we walked across the street to dinner at The Southern. Again, the food was absolutely amazing (along with the martinis!). Of course I went to dinner fully decked out in my glitter tulle veil and purple glitter sash, so we top service and even got upgraded to the "birds eye view" table. After dinner it was back to Broadway to party the night away. We drank, we danced, we sang, we did it all. I may or may not have danced on stage with a fellow bachelorette.. Ok, I did. It was so much fun! The night flew by way too fast. It seemed like we had only been out a few hours when we heard last call and the bars starting to close down for the night. 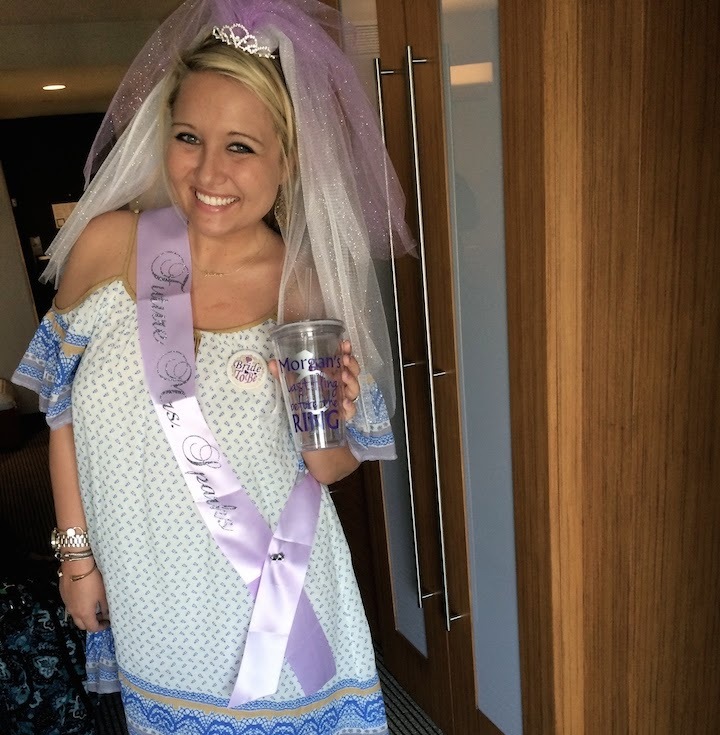 I can't thank my girls enough for giving me such an amazing bachelorette trip! 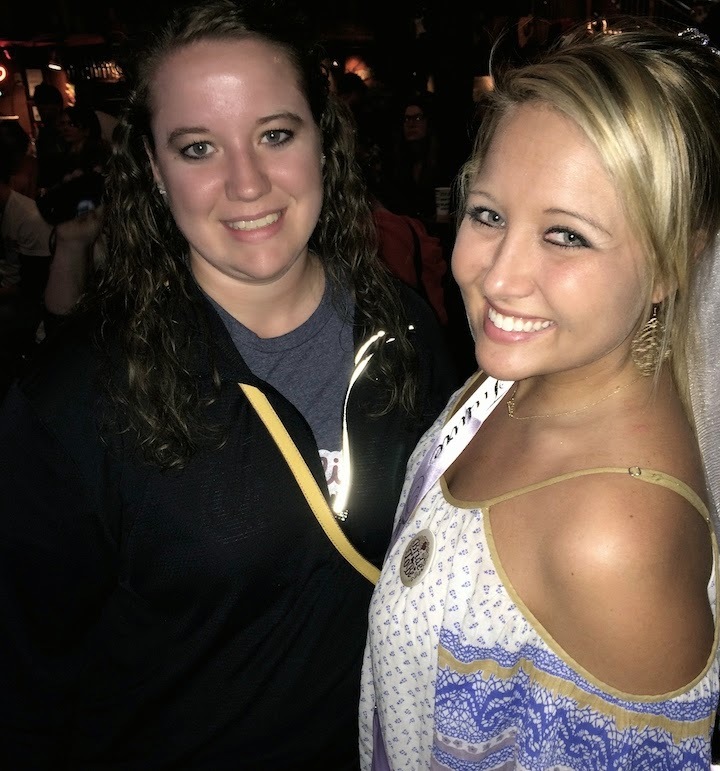 Nashville was the perfect place to celebrate. The trip was short, but we sure packed a whole lot of partying into such a small period of time. I'm pretty positive my body is still recovering from Saturday night. 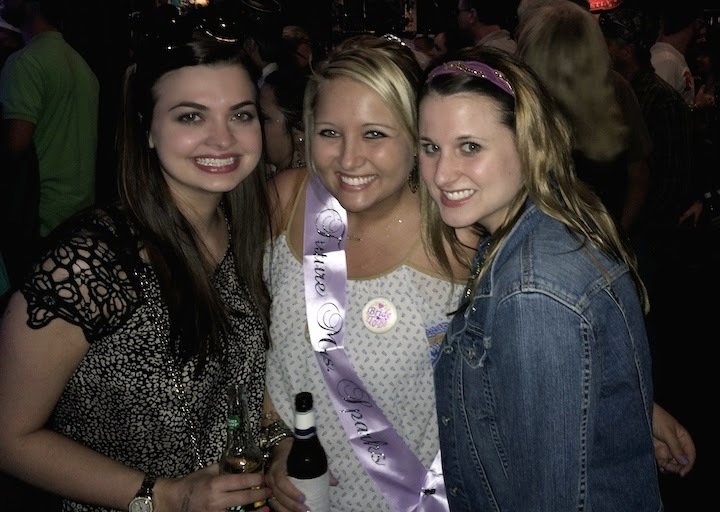 The bachelorette party was the last thing to check off the list before the big day! Next up, wedding weekend! I can't believe that it's only 17 days away!! How fun! Glad you enjoyed your weekend! So awesome! I have never been on the rooftop at tootsies, but downstairs is so fun! What a fun weekend! 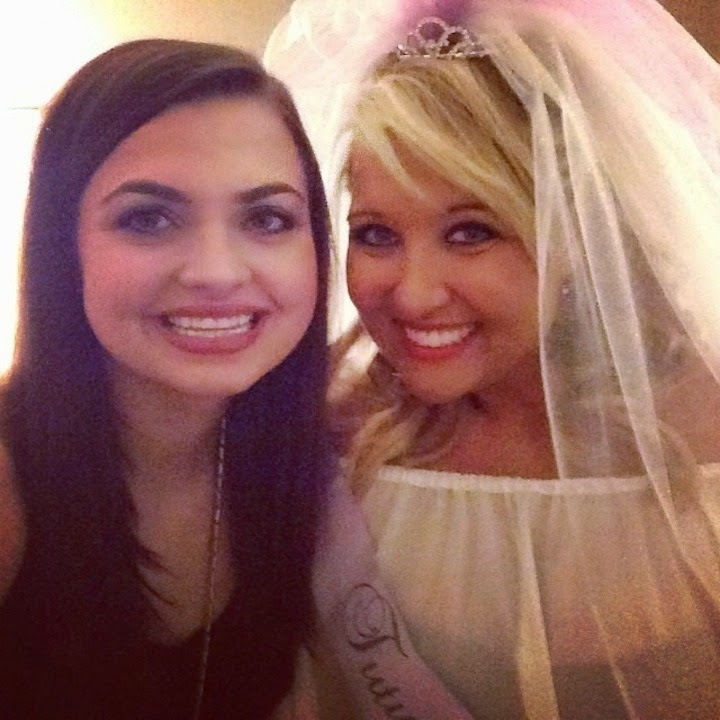 You're going to be a beautiful bride! Looks like an awesome weekend!!! I've only been to Nashville once. Might need to make a trip back! Looks like you guys had a great time!!!! The last picture makes me laugh. 17 days?!?! AHHHHH!!!! Looks like so much fun!! 17 days, ah!! I'm 39 days away! So exciting :) Love the veil!! You always have the cutest clothes! 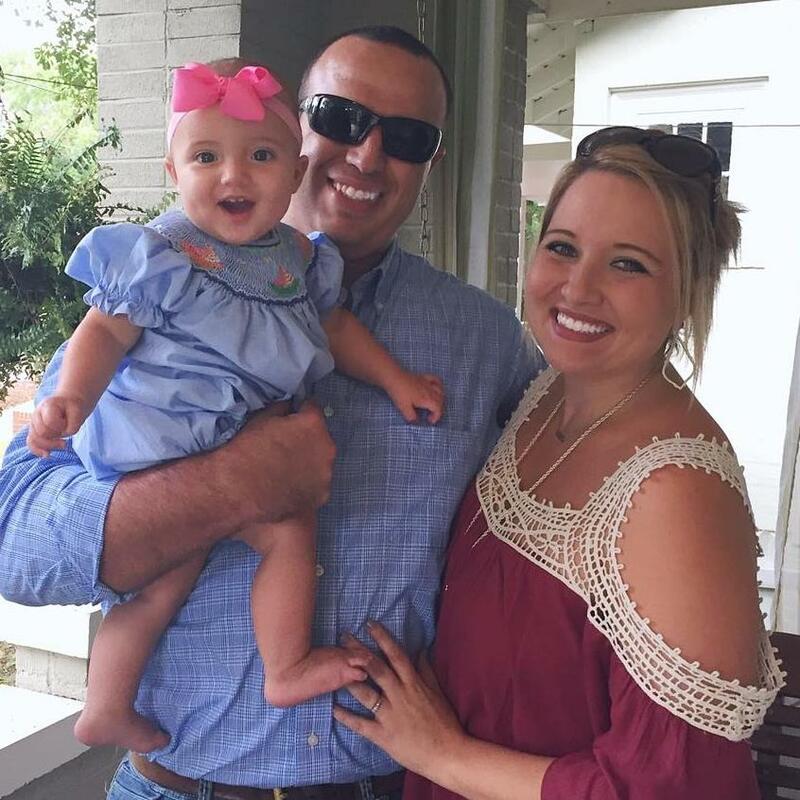 Looks like y'all had a lot of fun! That blue and white dress is ADORABLE! Where is it from?! It looks like you had a lot of fun! Ahh! Now I miss my bachelorette! 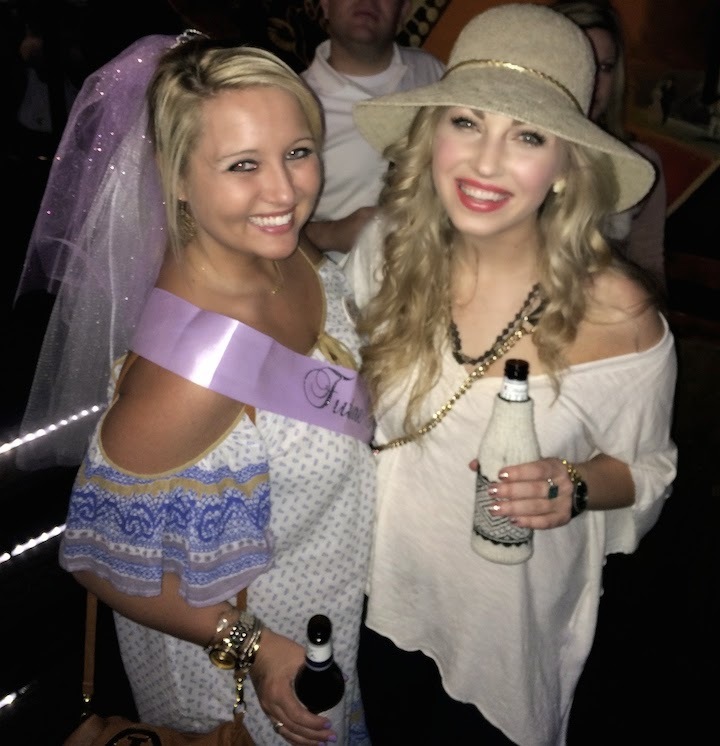 Looks like a great time - as every Bachelorette party should be!! You girls did it right! This looks like so much fun! 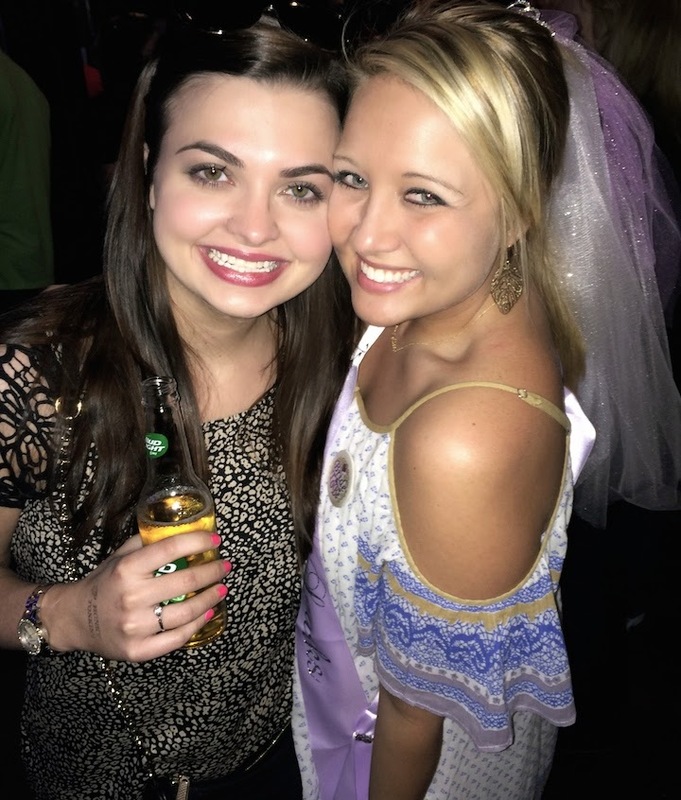 I've been waiting for your weekend recap and am so glad you had such a great time!! You'll be walking down that isle before you know it Mrs. Sparks! You looked beautiful! Glad you had a great time! It will be here before you know it! You look great!! Both of those dresses are beautiful!! Love! Hope you had a great time! Ah! So happy I came across your blog on today's link-up. 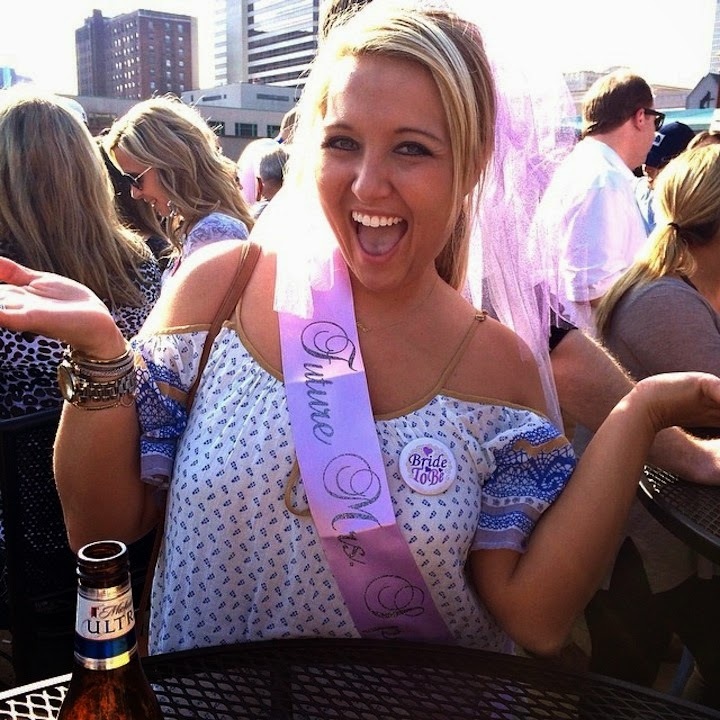 I'm going to Nashville for my Bachelorette too! I never knew Tootsie's had a rooftop and now I need to partake! Looks like you girls had TONS of fun! Congrats! Oh man! It really looks like you had a blast! YAY! That is so awesome that your college besties were able to make it. Special moments to hold on to forever! this looks so fun! i should also say, i saw an off the shoulder top and totally thought of you the other day! Aw! How fun! As many times as I've been to Tennessee, I have never been to Nashville. Sounds like that needs to change!